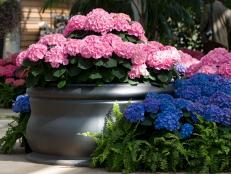 Savor the beauty of bigleaf hydrangea by giving it a spot in your landscape. This old-fashioned shrub stirs nostalgia. Botanically, bigleaf hydrangea is known as Hydrangea macrophylla. You can choose from two types of flowers: mophead or lacecap. Mophead hydrangeas open full large-headed flowers, while lacecaps offer flat, wide flower clusters containing two different types of blossoms. Both are easy to grow. 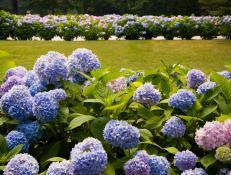 The main question you’ll ponder relates to Hydrangea macrophylla pruning. If you translate the botanical name from the Latin, Hydrangea macrophylla gives some clues about this shrub. Hydrangea contains the root that refers to water (hydra), and macrophylla literally means “big leaf.” As the name suggests, Hydrangea macrophylla is a water-loving plant with big leaves. Actually, the big leaves are the reason this beauty loves water. It takes a steady water supply to keep the plant from wilting. 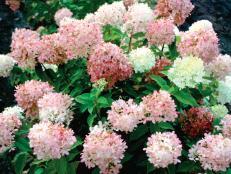 Despite the water in the name, you don’t want to plant bigleaf hydrangea in soggy soil or standing water. Instead, give it a spot in well-drained soil that has plenty of organic matter—either naturally or because of what you add. Organic matter acts sort of like a sponge in soil, soaking up moisture and holding it for plant roots. Give Hydrangea macrophylla a spot with morning sun and afternoon shade in warmest regions, where afternoon sun can really sizzle. 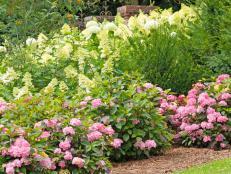 Otherwise, you may find it difficult to supply sufficient water to bigleaf hydrangeas. 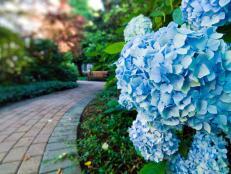 In northern zones, Hydrangea macrophylla can take a full day of sun, although some light afternoon shade won’t hurt, either. Too much shade reduces the flower show, so aim for high or dappled shade, the kind limbed-up trees create. Hydrangea macrophylla pruning isn’t difficult. It all depends on when your plant flowers. Bigleaf hydrangeas that flower once each year produce their flower buds on the previous year’s growth. Prune these hydrangeas right after they flower. New repeat blooming bigleaf hydrangeas produce flowers on old and new growth. You can safely prune these shrubs nearly anytime during the growing season. 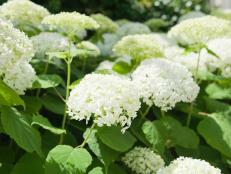 Bigleaf hydrangeas are the shrubs that can change flower color based on soil pH. In acid soils, coveted blue and purple shades appear; in alkaline soils, pink is the standard hue. Shifting hydrangea flower color can be challenging. Do a little homework and plan on patience teamed with persistence for best results. 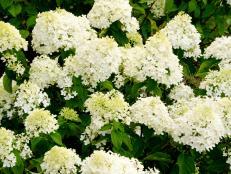 Mophead hydrangeas are also known as French hydrangeas, which is ironic, since this shrub is native to Japan. Many of the early breeding efforts to develop mophead hydrangeas occurred in France, so they became widely known as French hydrangeas. 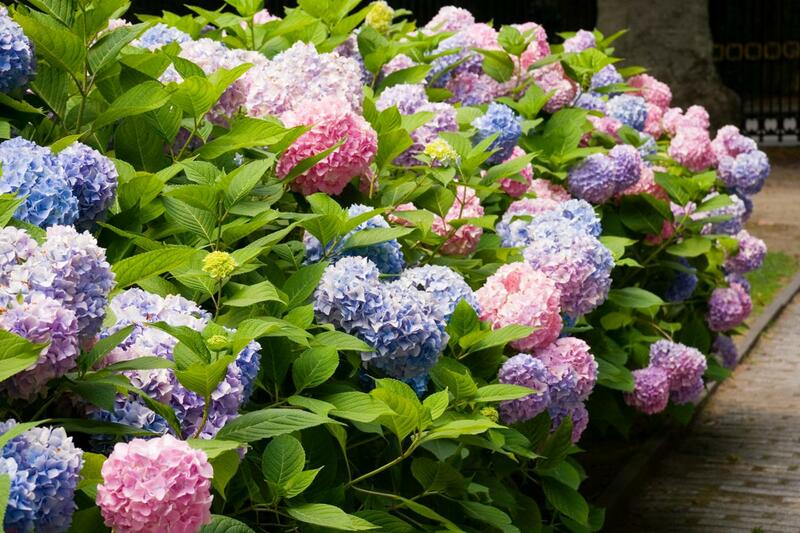 Traditional flower colors on Hydrangea macrophylla include pink, white, or blue and purple tones. 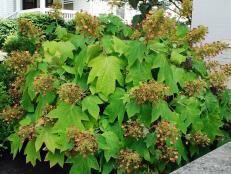 Newer introductions also bring shades of lime green and red to the Hydrangea macrophylla party. 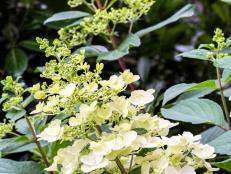 As mophead hydrangea flowers age, they shift through a range of colors that bring even more beauty to the garden. 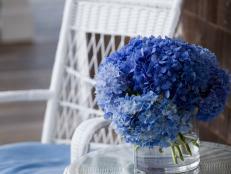 The blossoms linger long in the garden, and you can also dry hydrangea flowers for an indoor floral display.